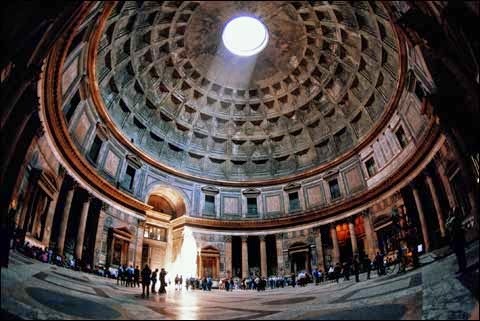 Both the Parthenon and the Pantheon represent incredibly important standards relating to the people and what they thought of the gods. 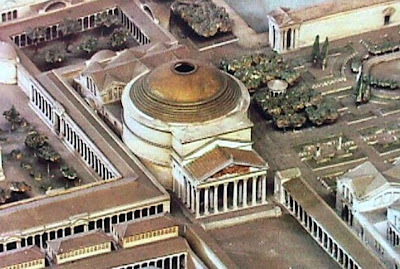 These temples of worship sought to honor various gods, as well as to show each civilization's technology. Both show post and lintel architecture. 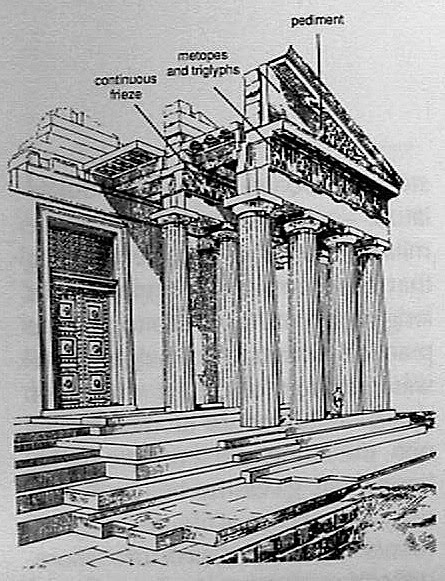 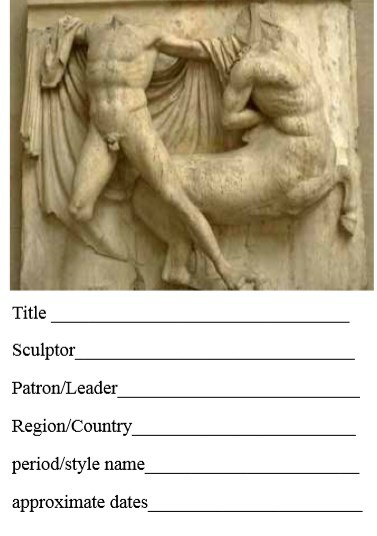 Both display pillars, with the Parthenon showing Doric order, and the Pantheon showing Corinthian. 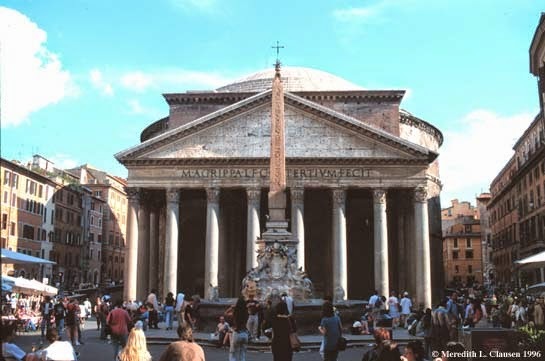 While the Pantheon pillars do not display fluting, both structures' pillars show slight entasis. 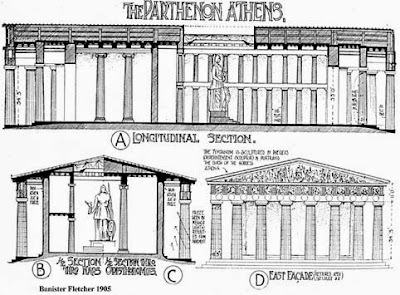 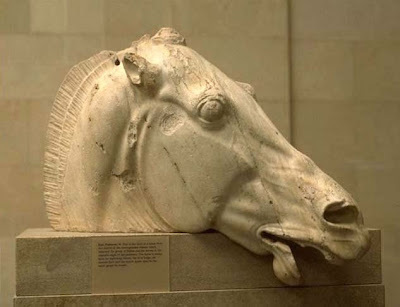 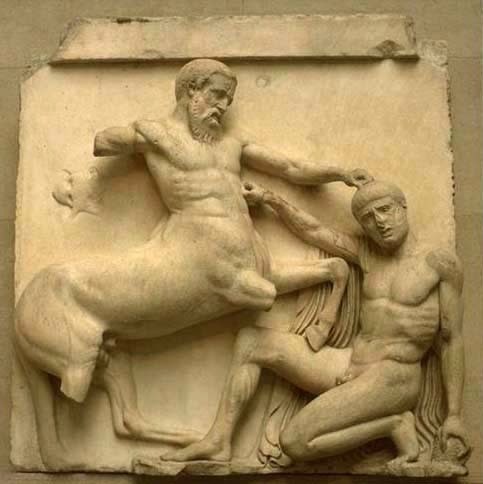 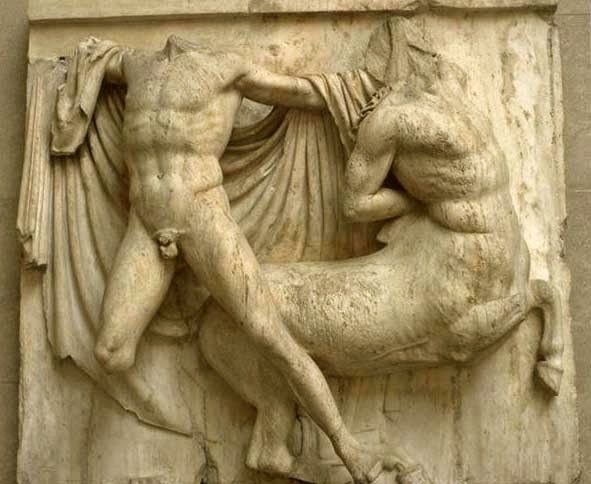 The Parthenon displays the use of triglyphs and metopes (frieze), as well as small sculptures mounted inside the pediment. 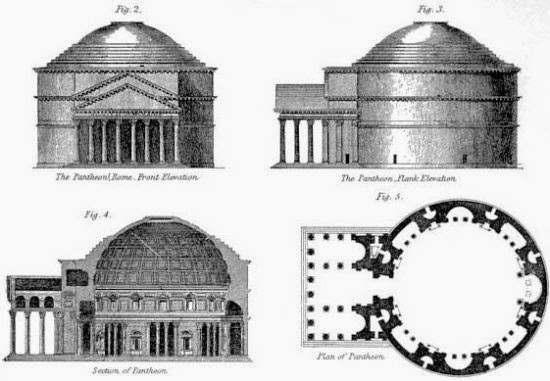 The Parthenon also has a flat base, whereas the Pantheon has a slightly curved base to funnel possible water. 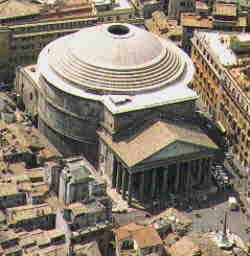 The Pantheon displays a dome with an oculus at the top, with small temples with pillars and friezes inside. 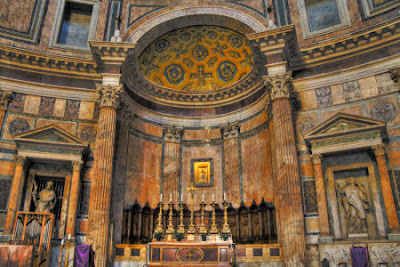 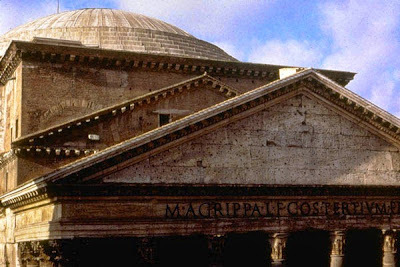 Arches and small pediments are also present in the Pantheon, as well as coffers that aid in supporting the dome. The Parthenon is made out of stone, whereas the Pantheon is made out of concrete and some volcanic rock finished with marble veneer. 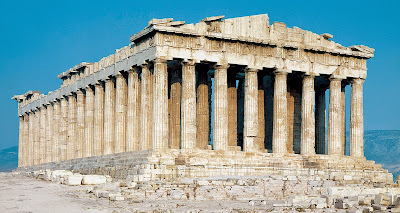 The Parthenon and the Pantheon both show various, well thought out techniques to trick the eye. 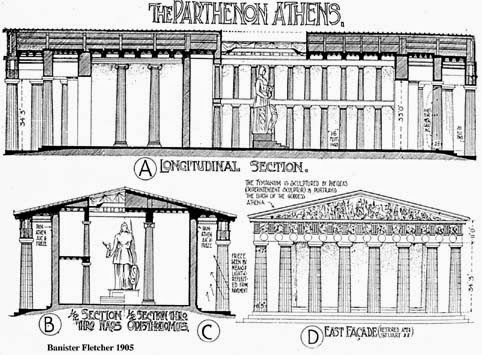 The Parthenon uses a special ratio to fool the eye into thinking the building is much grander than it might actually be. 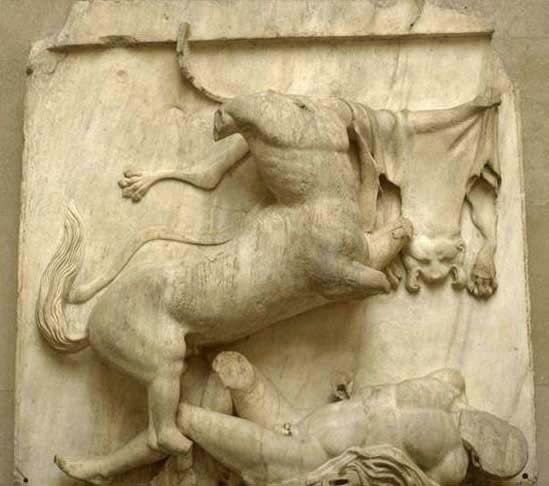 Various figures depicting Greek gods are mounted in the pediment and there are various friezes showing ideas such as the Apollonian/Dionysian Conflict. 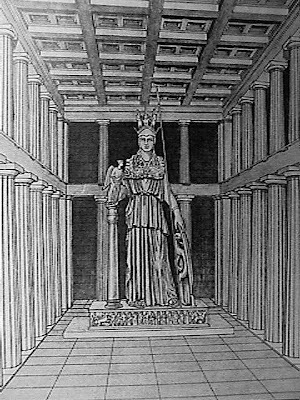 The interior of the Parthenon uses two sets of half-pillars around a statue of Athena to enhance the grandiose nature of the statue and to trick the eye into thinking the sculpture is larger than it actually is. 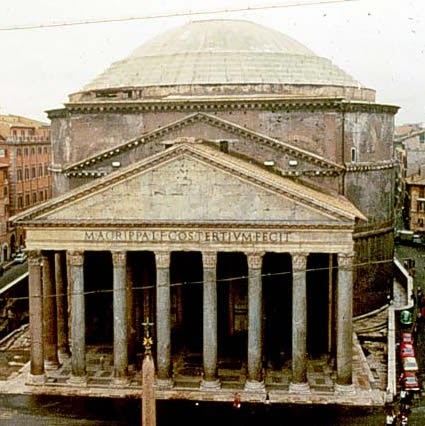 The Pantheon displays the melding of ideas of Roman and Greek architecture by combining domes and arches with pillars and pediments. 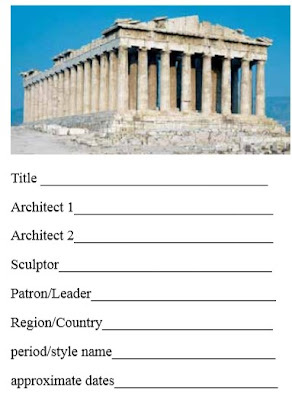 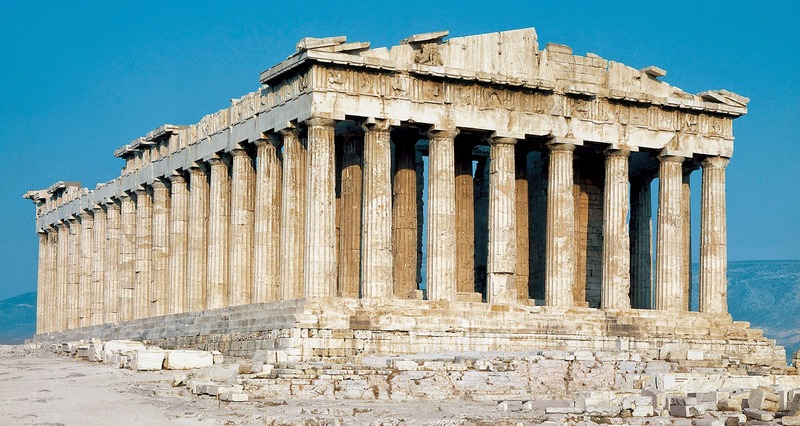 The Parthenon was created as both a means to show architectural greatness, as well as to honor the gods and is located atop a hill/mountain within the Acropolis. 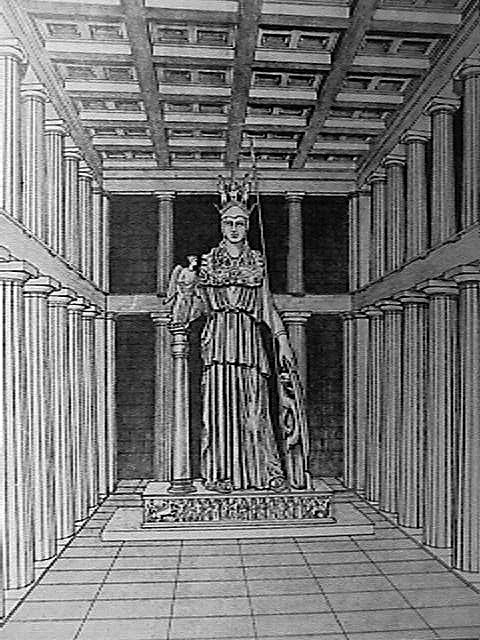 Athena was chosen to represent the city, therefore there was a statue of Athena inside of the structure. 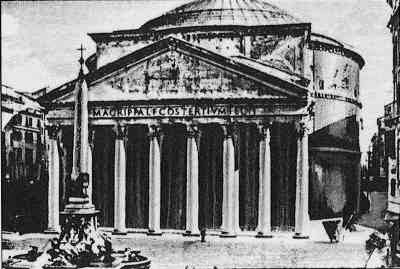 As the years passed, the structure was used as a storage house for gunpowder and exploded, thus leaving the temple in ruin. 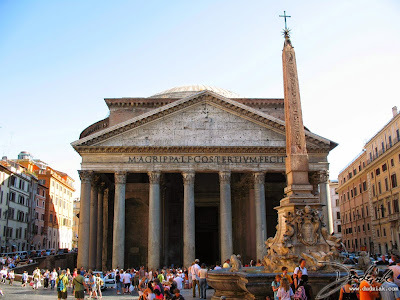 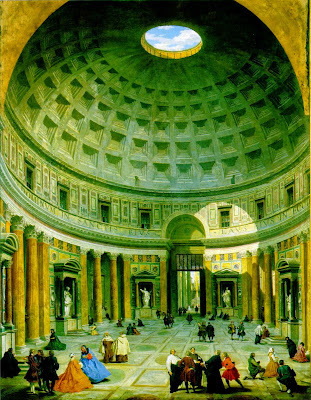 The Pantheon was built by Emperor Hadrian in an effort to improve Rome; to break away from the city being of "bricks". 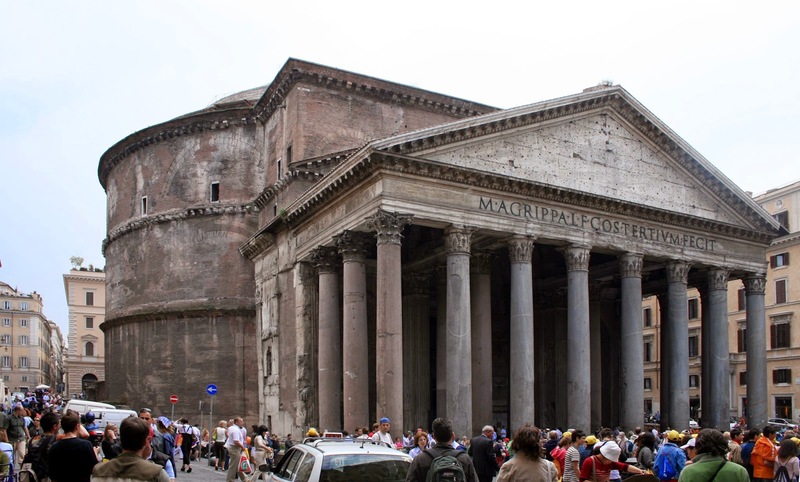 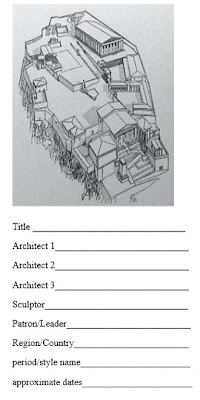 The temple was in honor of all of the gods and is said to have been Hadrian’s place of business or throne room. Eventually, the structure was converted into a church. 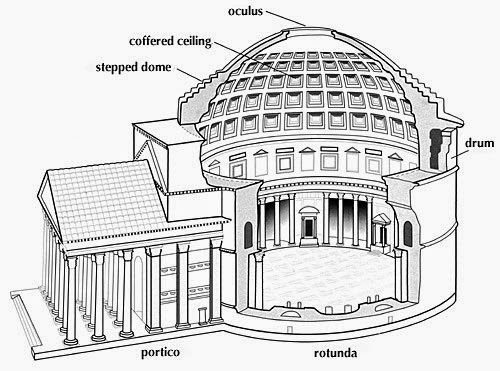 In conclusion, both structures show references to various forms of technologies and ideas in relation to religion. Both sought to be grand contributions to their communities and paid reverence to gods.